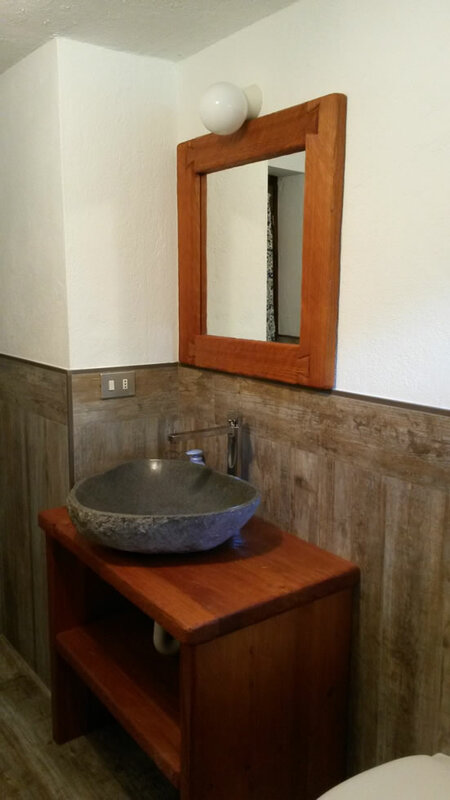 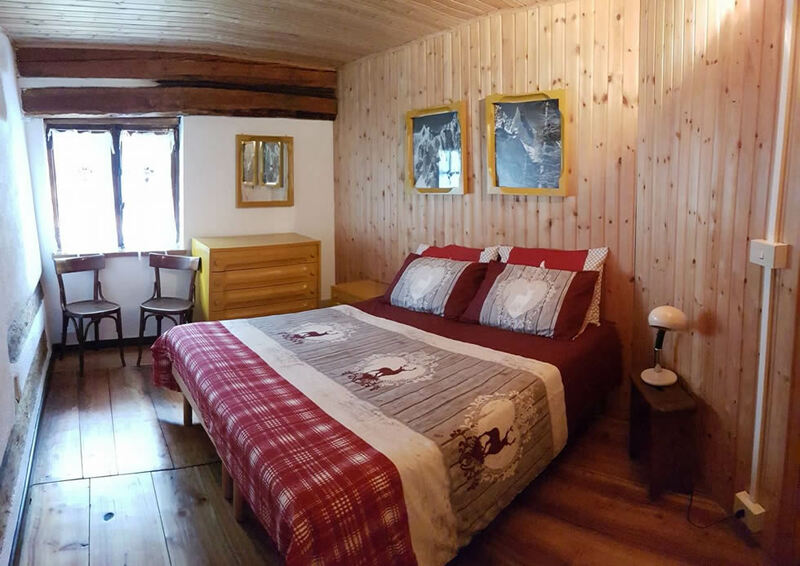 In summer time, in the Val Veny - at Les Dsergnes - we propose a beautiful chalet that is ideal for families with children or for people that want to have freely holidays. 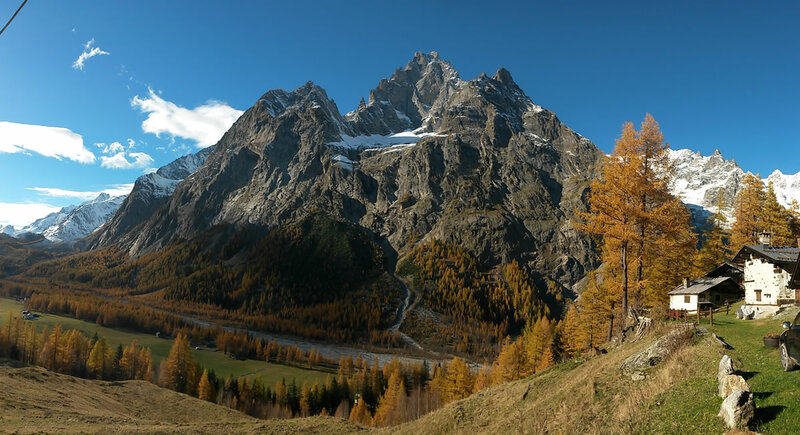 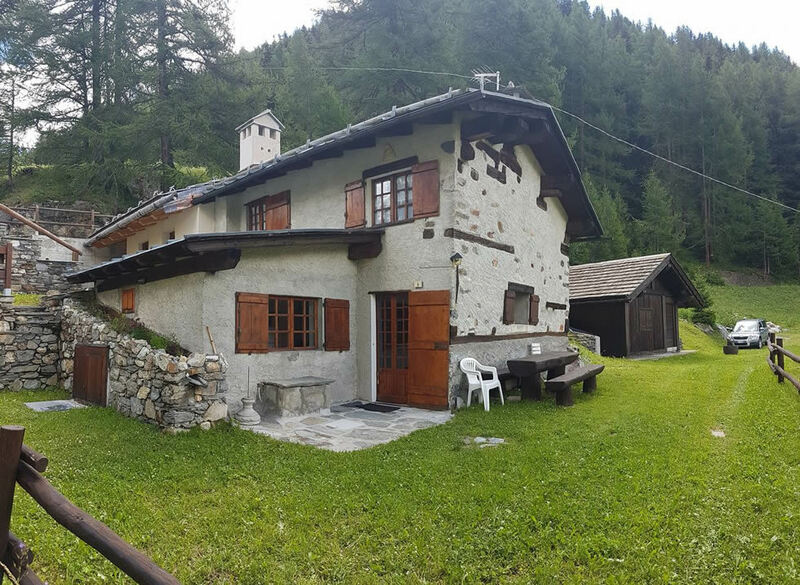 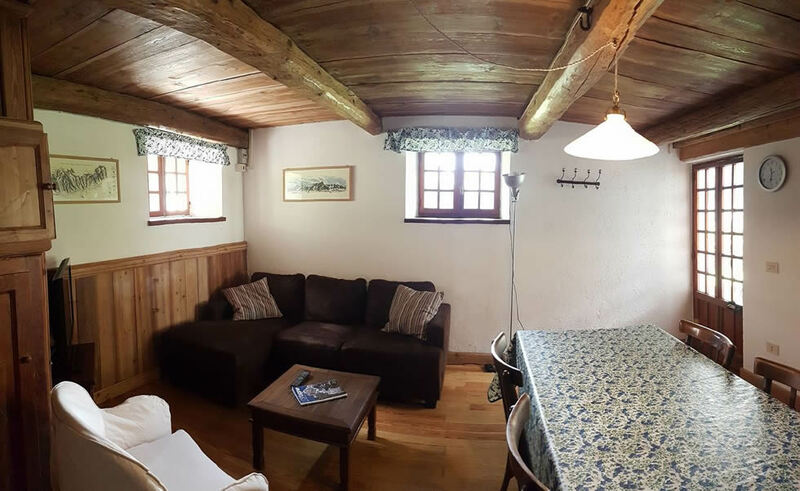 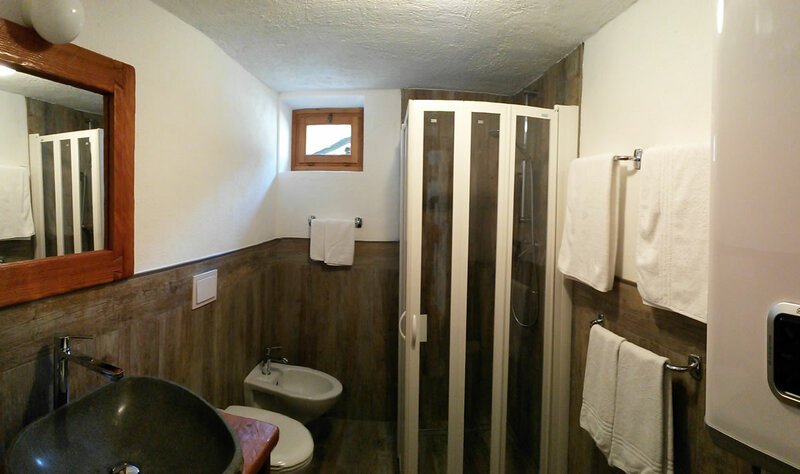 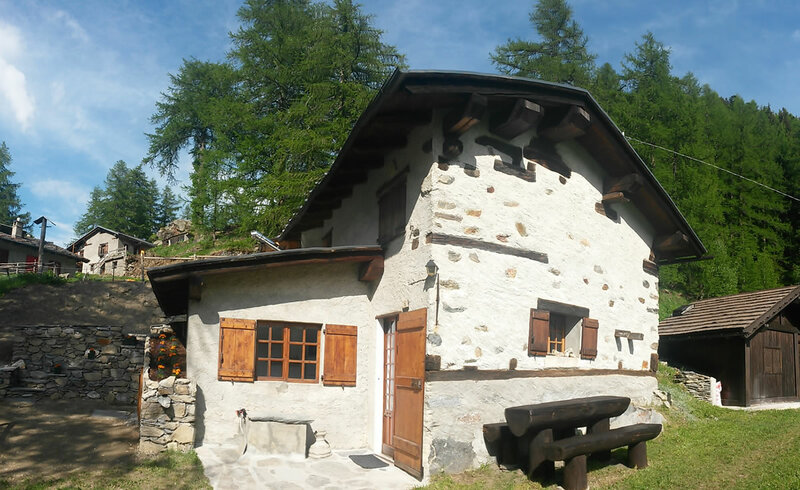 The chalet, 15 minutes far from Courmayeur, is reachable by car and has a private car park. 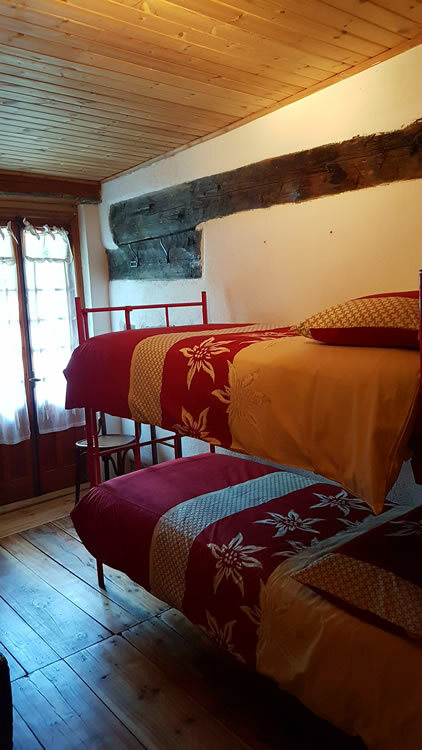 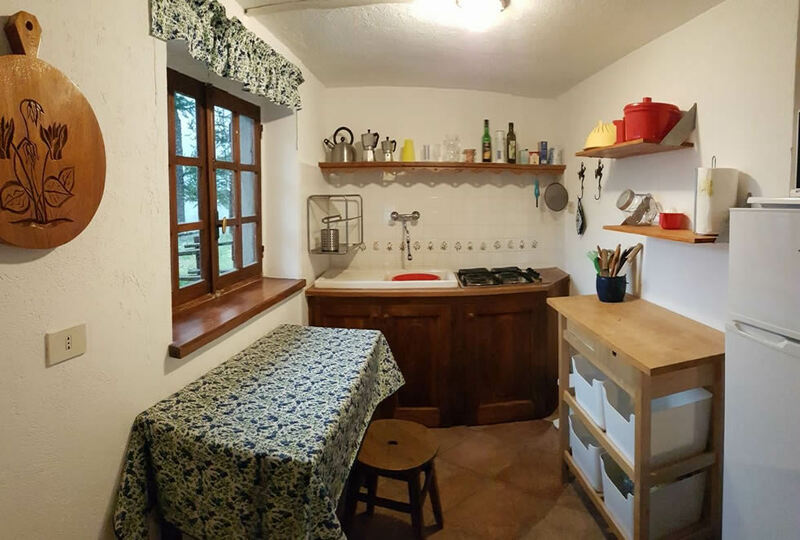 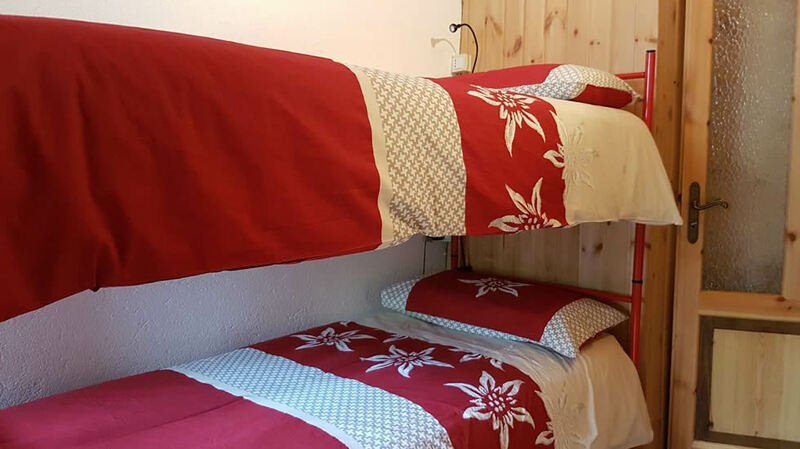 It's composed by a double room, a room with bunk bed for a total of 4 people, a bathroom with shower, a dining room with a kitchen and a private garden. 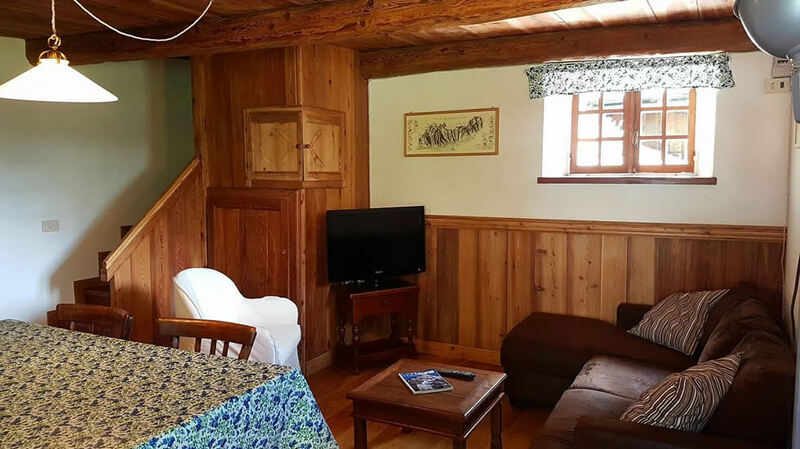 Rates include water and electricity, car park, heating with a pellet stove, an allowance of tovels and sheets - with change every 7 days - and the final cleaning.